This weekend we looked at the “Greater News" of the Gospel (contrasted with all of the other news and information that infiltrates our minds on a daily basis). The Gospel is not just the message we believe in order to gain salvation, it is the basis of our eternal fellowship with God. As such, it is not simply good news to be believed in order to become a Christian, it is the good news to be received and believed every day of our lives. In the sermon, we began to explore the question of how to live each day in light of the good news of the gospel. The main idea was that we need to preach the gospel to ourselves daily, rather than simply listening to the default thoughts served up to us by the world or by our own minds. Years ago, Jerry Bridges wrote a helpful article called “Gospel Driven Sanctification” that dives deeper into this idea. I trust you will find it encouraging and helpful as you seek to grow as a “preacher” of the gospel who will be called to the task of declaring (and believing) gospel glories every day! 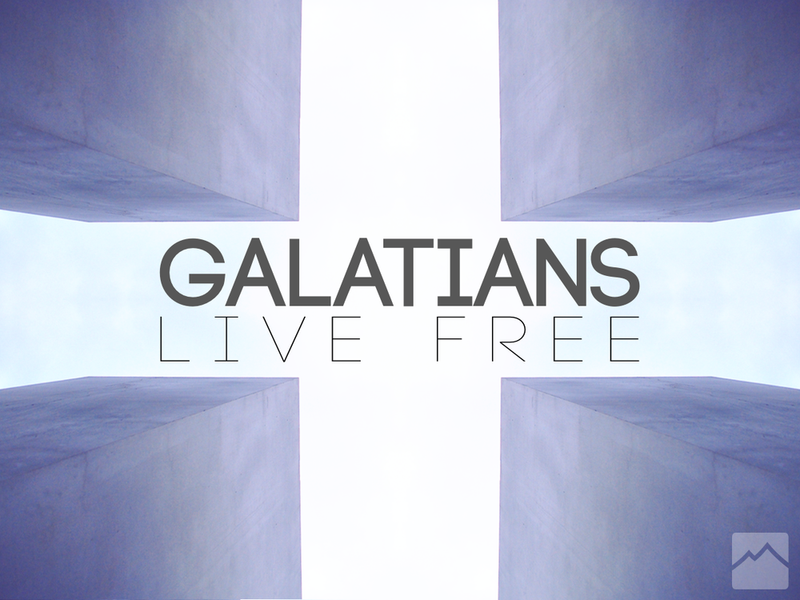 This past Sunday we began our journey through the book of Galatians. Jason shared about the simplicity that can be found in following Jesus. The question of how we can be justified before God is a question that every religion tries to answer, but the gospel of grace proclaimed in the Bible is the only true gospel. We need the book of Galatians to help us live in the simplicity of the gospel, and thereby experience its power. Jason brought up four reasons that we (as a church and individuals) need this study through the book of Galatians. I’ll be blogging the rest of this week to expand on some of the ideas he shared. The Galatian church was wrestling through the theological misconception that there were some works necessary to secure salvation. Some of the Galatians were holding to the notion that the laws and customs of the Old Covenant needed to be kept to be justified. Paul argues that these Judaizers are not only distorting the gospel, but that what they’re proclaiming is not the gospel at all. One reason we need the book of Galatians is to fight the draw to performance-driven Christianity. Following Jesus isn’t about abiding by a set of rules or completing some tasks to please God. Following Jesus is an act of faith; continually trusting in the grace provided by God through the cross of Christ. We easily believe that we are initially justified by the grace of God as a gift, but we can be so quick to try to secure and assure our own salvation by our works. This is exactly one of the issues that Paul was trying to help the Galatians think rightly about, and it’s no less relevant to us today. It’s not as though God justifies us by grace, then expects us to maintain that justification through our works. He justifies us by grace once and for all, and our acts of obedience and charity are an avenue of worship, gratitude, and faith in God’s future provision of grace. It is dangerous and draining to have to constantly perform to be accepted by God. As you reflect on the simplicity of the gospel, remember that your relationship with God isn’t seen by Him through the lens of performance. It’s seen through the lens of the perfect life, death and resurrection of Jesus, the solid rock! Check back tomorrow, as we dive into how truly powerless our reliance on our own flesh leaves us. This last weekend we spoke about how important it is that our pursuit of holiness be driven by the glories of the gospel. I quoted from an article written by Jerry Bridges. If you are interested in reading this helpful article called "Gospel-Driven Sanctification," you can access it if you Click Here.